Baileychlore: Mineral information, data and localities. 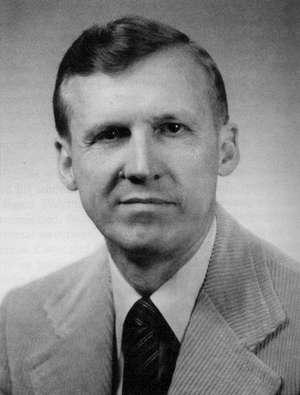 Named in 1988 by Audrey C. Rule and Frank Radke in honor of Professor Sturges William "Bull" Bailey [February 11, 1919 Waupaca, Wisconsin, USA - November 30, 1994 Madison, Wisconsin, USA], specialist in phyllosilicates, Department of Geology and Geophysics, University of Wisconsin, Madison, Wisconsin, USA, and "chlore" in allusion to it being a member of the chlorite group. 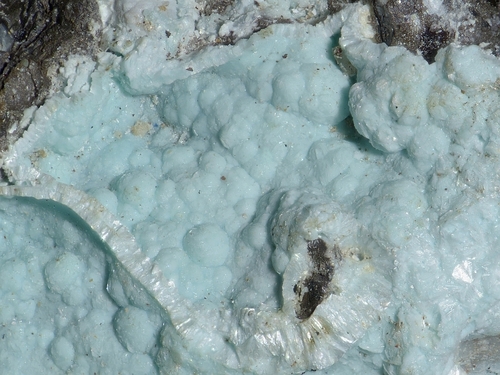 This page provides mineralogical data about Baileychlore. Pyrite 3 photos of Baileychlore associated with Pyrite on mindat.org. Smithsonite 2 photos of Baileychlore associated with Smithsonite on mindat.org. Sphalerite 2 photos of Baileychlore associated with Sphalerite on mindat.org. Calcite 1 photo of Baileychlore associated with Calcite on mindat.org. Rule, Audrey C. and Radke, Frank (1988) Baileychlore, the Zn End Member of the Trioctahedral Chlorite Series. American Mineralogist, 73, 135-139. R. Lira, et al (2005) "Baileychlore from Sierra Norte de Cordoba, Argentina: A new occurrence." 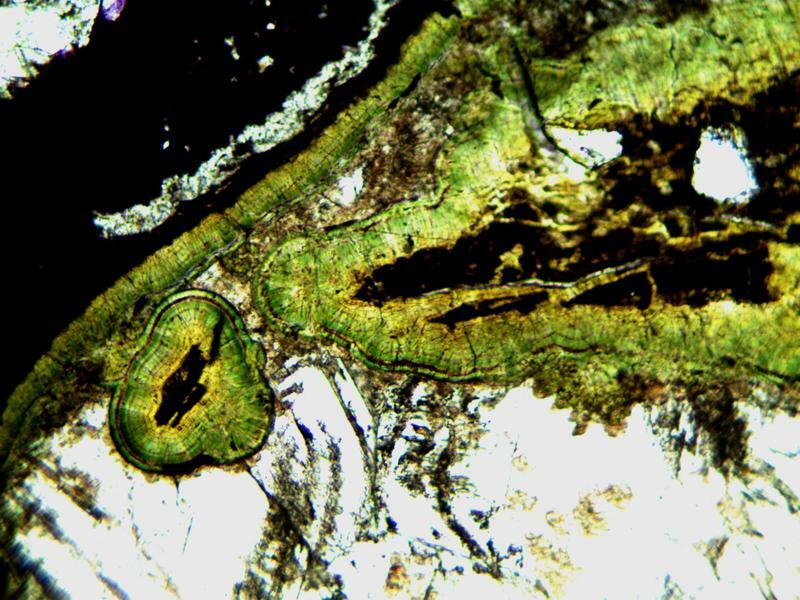 Contributed Papers in Specimen Mineralogy, Rochester Mineralogical Symposium, April 14-17, 2005. Bottrill & Baker (in prep) Catalogue of minerals of Tasmania; Awid-Pascual, R., Kamenetsky, V. S., Goemann, K., Allen, N., Noble, T. L., Lottermoser, B. G., & Rodemann, T. (2015). The evolution of authigenic Zn–Pb–Fe-bearing phases in the Grieves Siding peat, western Tasmania. Contributions to Mineralogy and Petrology, 170(2), 1-16. White, A.J.R. (2016) Distinguishing local and regional alteration systems. Presentation, AESC 2016 conference, Adelaide. Geological Society of Australia. Arfè, G., Boni, M., Mondillo, N., Aiello, R., Balassone, G., Arseneau, V. and Soyk, D. (2016): Supergene alteration in the Capricornio Au-Ag epithermal vein system, Antofagasta Region, Chile. Can. Mineral. 54, 681-706. LAPIS 2010 7/8, p. 14 (Kristalldruse ad); Rieck, B. (2012): Neue Minerale aus dem Lagerstätten-Bezirk Lavrion/Griechenland und den Kalahari Mangan Feldern/Republik Südafrika. PhD Thesis (unpubl. ), University of Vienna, 183 pp. (in German); Kolitsch, U., Rieck, B., Brandstätter, F., Schreiber, F., Fabritz, K. H., Blaß, G. & Gröbner, J. (2014): Neufunde aus dem altem Bergbau und den Schlacken von Lavrion (I). Mineralien-Welt 25 (1), 60-75 (in German). 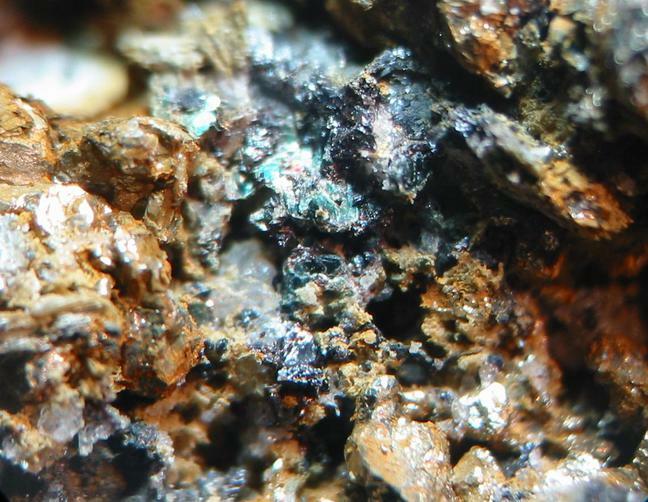 Blaß, G., Kruijen, F. & Seyb, R. (2009): Neues von der Tsumeb Mine. Mineralien-Welt 20 (5), 60-65 (in German).